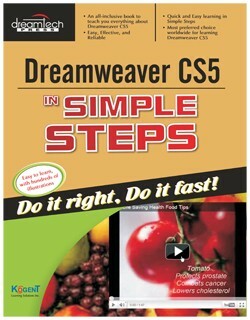 DREAMWEAVER CS5 IN SIMPLE STEPS is meant for aspiring IT professionals who want to build their career in Web development. Dreamweaver CS5 is the latest version of the Dreamweaver software that is used to create, design, manage, test, and publish websites. 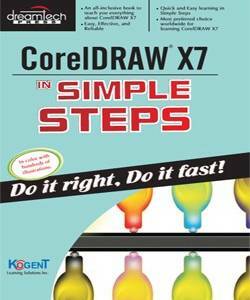 Being simple, precise, and complete, the book offers its readers a cutting edge in Dreamweaver CS5 by providing step-by-step procedures and multiple illustrations, making this book an ultimate reference that you can use anytime and anywhere. 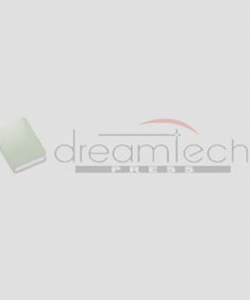 Starting from opening Dreamweaver to adding text, images, colors, templates, testing website, this book explains all tasks required to build a website. 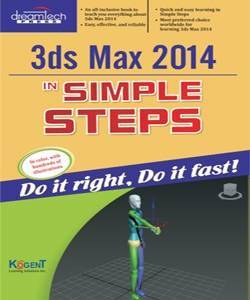 This book is covered in such a way that it will be equally helpful to the novice users as well as the professionals.